"... although this seemed to be a big venture. Carl Swensson was accustomed to attempting great things, and plans moved forward with certainty." Carl Aaron Swensson was born in Sugar Grove, Pennsylvania, to Swedish parents who came to America in 1856 from Småland, Sweden. His father, Jonas Swensson, was ordained at Sweden's Växjö Cathedral on October 8, 1851, was one of the pastors responsible for the founding of the Rock Island, Illinois, Augustana Lutheran Synod (the Augustana Evangelical Lutheran Church) in 1860, and was to become president of its Augustana Lutheran College, also founded in 1860. The Augustana Lutheran Synod would eventually become the parent church to Jonas Swensson's son's Carl Aaron's school, Bethany Lutheran College, one of several Swedish liberal arts colleges ( Gustavus Adolphus College in St. Peter, Minnesota; California Lutheran University in Thousand Oaks, California; Midland Lutheran College in Fremont, Nebraska; and Upsala College in East Orange, New Jersey) for which it would become responsible. While living in Moline, Illinois, from 1870 to 1878, and working as foreman to John Deere, Deere's father, Charles Andrew Deere (Anders Olsson) became very good friends with the-to-be Bethany Lutheran College founder pastor Carl Aaron Swensson who was only a few miles away in Rock Island. The occasion of the Deere and Swensson meeting for the first time is unknown, except perhaps it could have been on church related business between the Rock Island Augustana Lutheran Synod and the Swedish Evangelical Lutheran Church in Moline founded in 1850. 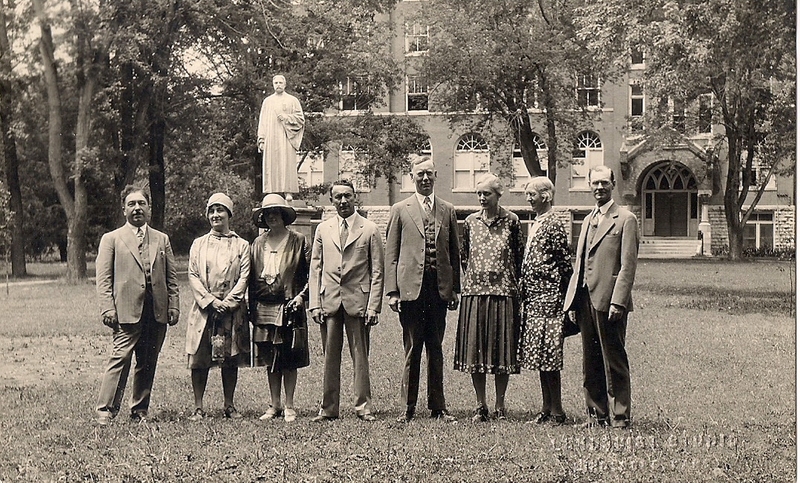 Whatever the case, their friendship was strong enough that Swensson felt comfortable in requesting that Charles Deere take his son Emil out of the Manhattan Kansas Agricultural College (Kansas State University) in 1899, to have him finish his studies at Bethany College. at Bethany observed in the College's daily activities being overseen and directed by their very powerful charismatic leader of great Christian conviction and vision who was guiding his Swedish American Bethany College to its destined place in the world of America! "A contemporary described Dr. Swensson: 'The doctor has a magnificent physique, a sonorous voice, animated delivery, and majestic presence.' Another observer refers to Dr. Swensson as 'An interesting person with an imposing figure, high and broad forehead, and an open countenance. There was something magnetic about his whole personality. He inspired confidence. His great optimism was a source of strength in the great burdens he carried.'..." In 1959, fifty-five (55) years after Swensson's death, found Dr. Emil O. Deere being interviewed by artist co-director of the Birger Sandzén Memorial Gallery Carl William Peterson, Bethany Lutheran Church member and archivist, on his church's second Pastor, C. A. Swensson, founder of Bethany College. Below, now in YouTube form, is that interview made possible by the late great Smoky Valley Historical Association President Chris Abercrombie (1949-2017). THE TRANSCIPTION below of this YouTube is faster to read than to listen! To learn more about this larger-than-life Lindsborg Swedish American leader and founder president of Bethany College, click on the Dr. Rev. Carl Aaron Swensson Statue in front of Old Main which will take you to Dr. Rev. Carl Aaron Swensson (1857 - 1904). 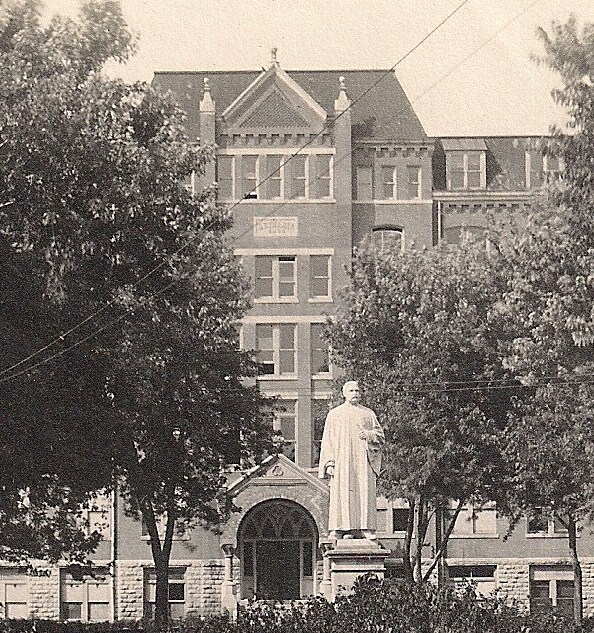 Note that the Bethania Plaque is on the Old Main facade above the Swensson Statue. 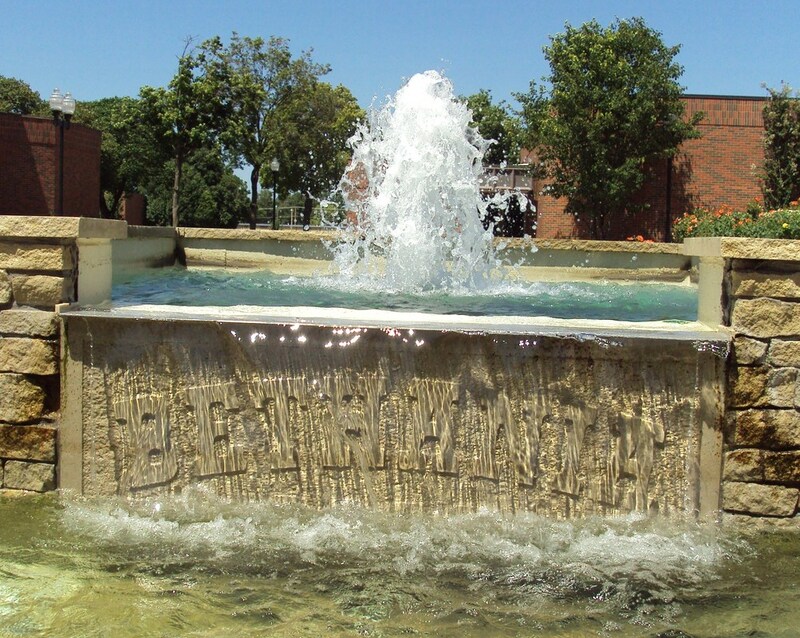 It was fortunately salvaged at the time of the razing of Old Main in 1968, and was then displayed appropriately in various areas on the campus. All color photography throughout Swedes: The Way They Were is by Fran Cochran unless otherwise indicated, or obviously concluded it is not. Copyright © 2018 www.swedesthewaytheywere.org. All rights reserved.